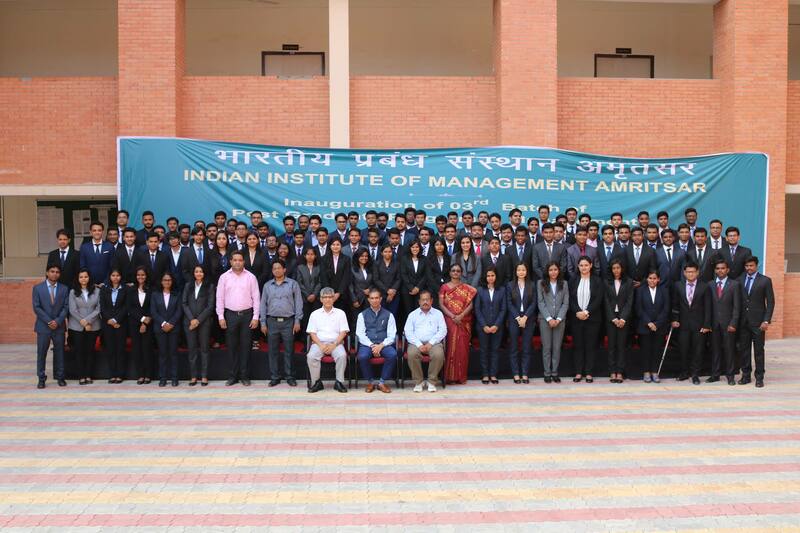 Mr. Wishwas Julka, currently the Vice President of Global Tata Group Sales at Tata Technologies, New Delhi area, visited IIM Amritsar campus on December 10th, 2015 to have an interactive session with the students here. Tata Technologies, founded in 1989, is a global leader in Engineering Services Outsourcing and Product Development IT services to the global manufacturing industry; enabling ambitious manufacturing companies to design and build better products. Mr. Wishwas is a 100% achiever of his sales target and with excellent leadership skills, he is an amazing team player. He has a humble and pleasing personality with great sense of humour. You can read more about him on https://in.linkedin.com/in/wishwas-julka-01b5959. The session began with a formal introduction of the students and moved from the current industrial trends to the various specialization areas currently available to them. According to Mr. Wishwas, “Get a clear vision of where you want to go, why and what would you do in that area…”. He demonstrated what are the overall roles and responsibilities associated with each of the specializations in the industry and what challenges one faces as a manager.